Whether placed at a counter or at a breakfast table, the Sunpan Vintage Counter Stool has a timeless appeal that’s amplified by warm, inviting details. 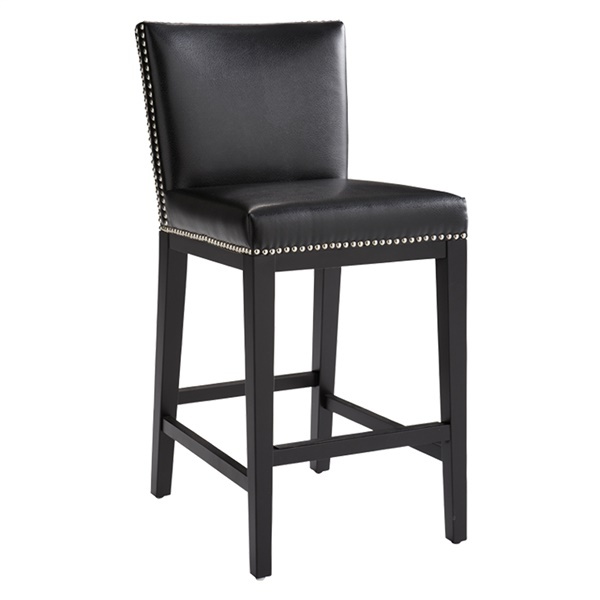 This stool’s clean lines and simple design, are perfect for a contemporary or transitional dining space. The stool’s frame features solid wood construction for a look that will last through years of use. Espresso finish on the legs provides warm, rich color, and a built-in footrest with a black metal scuff guard provides support. Generous foam padding makes the seat a treat to relax in over a meal. Meanwhile, linen back and seat upholstery makes the chair soft, cool, and inviting, and double silver nail head trim adds a touch of shine and vintage character. This chair comes in your choice of colors for a look that’s perfect for your space.